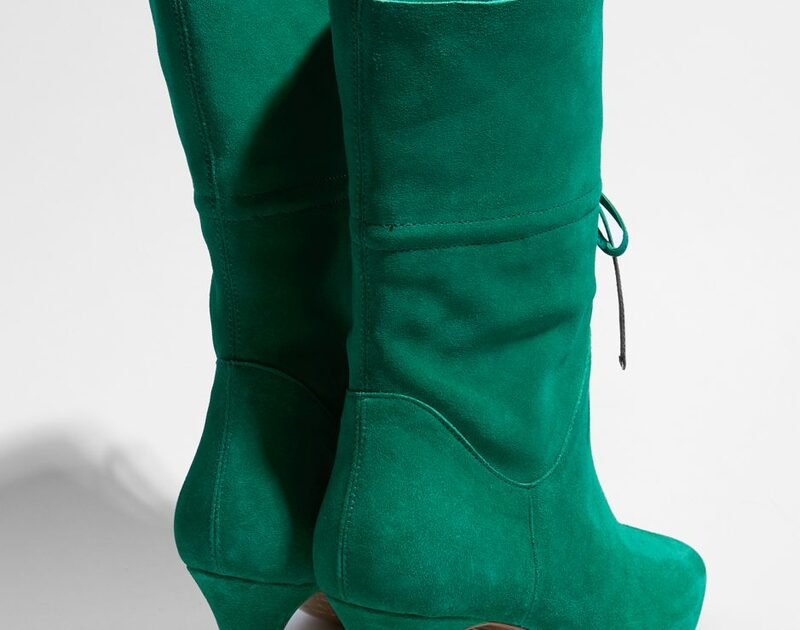 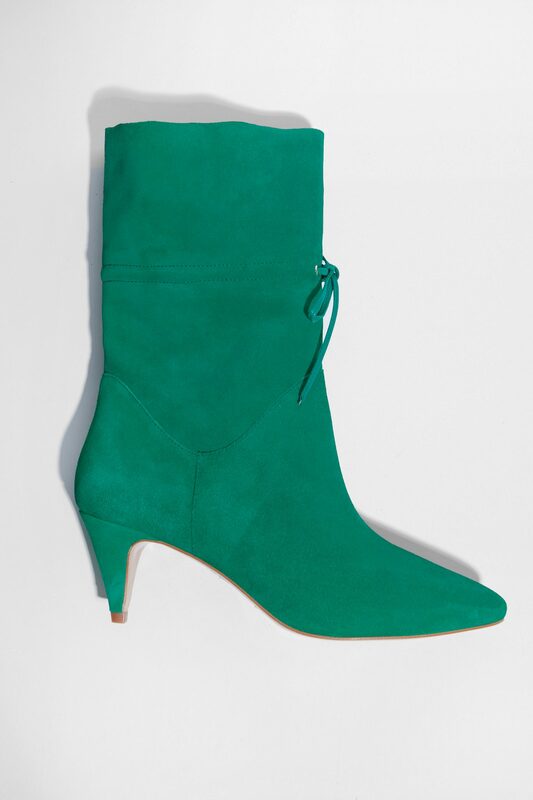 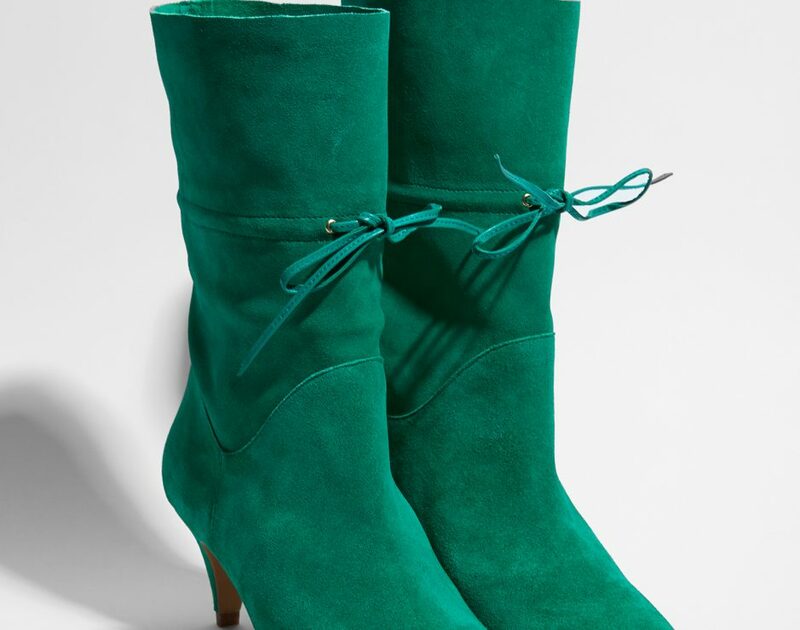 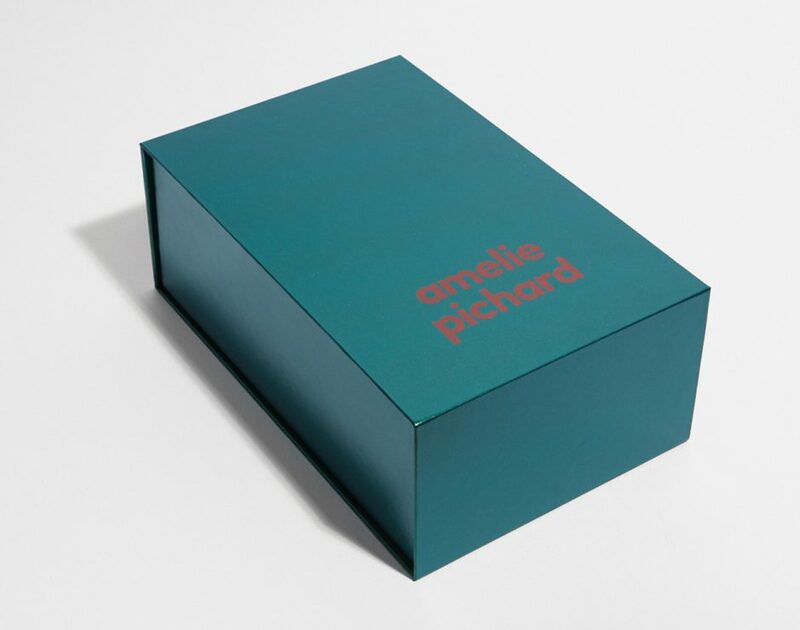 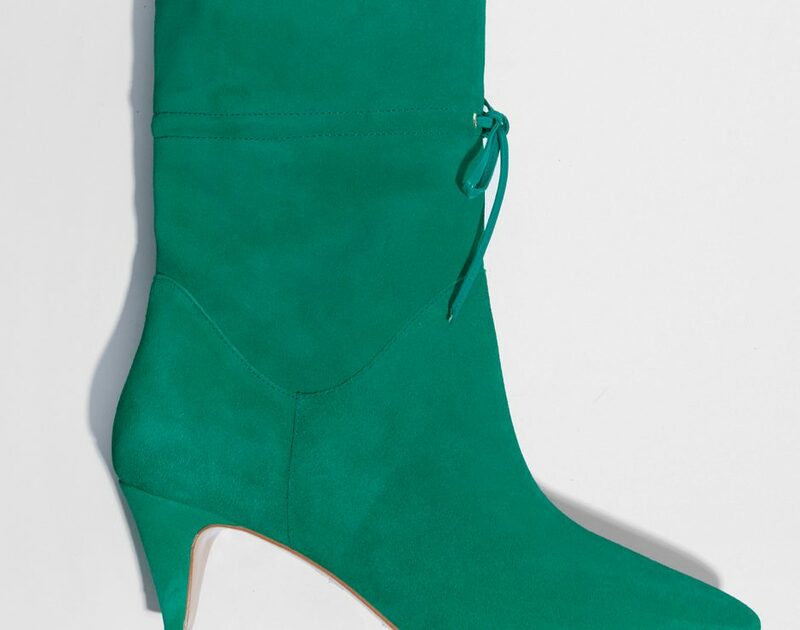 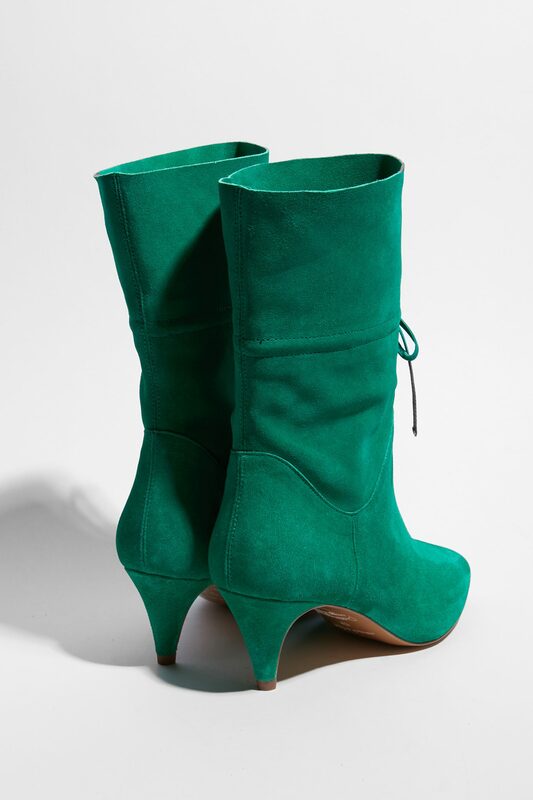 Green suede leather boots. 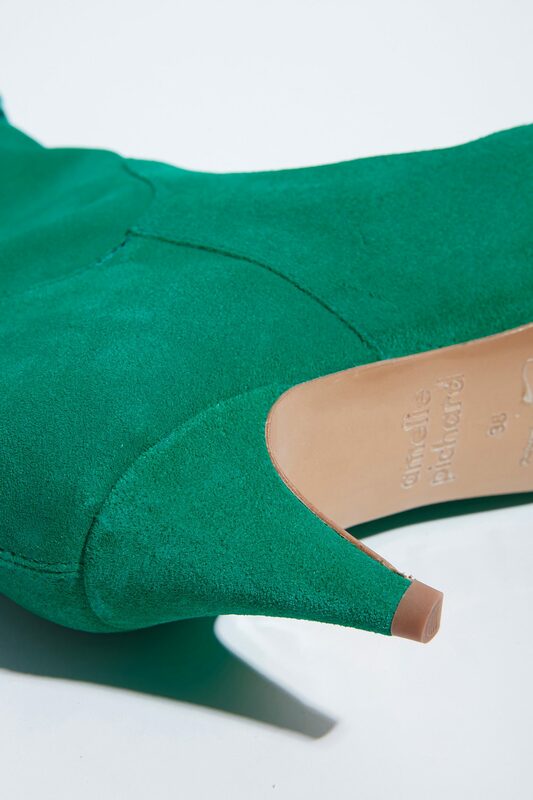 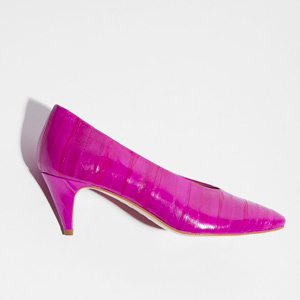 Comfortable 2,35in covered heel, pointed toe. 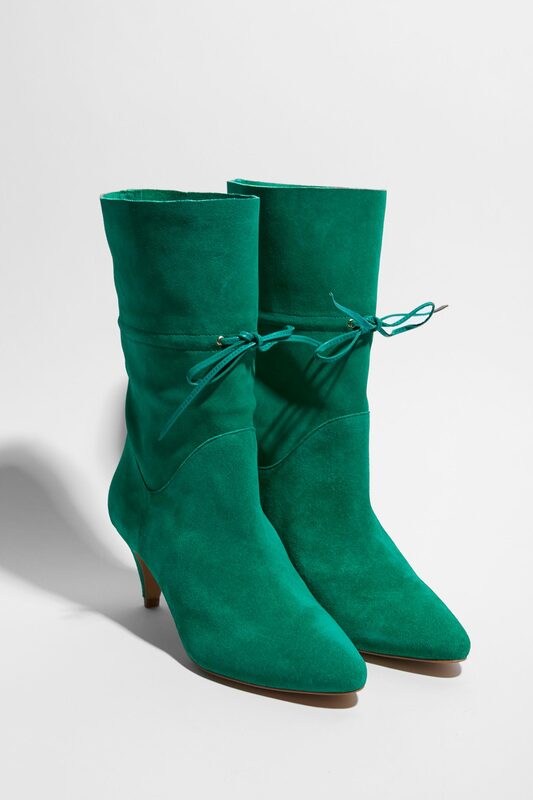 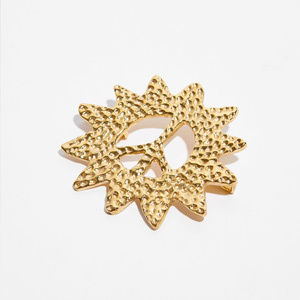 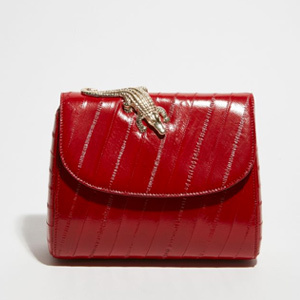 Decorative tone-on-tone leather lace. 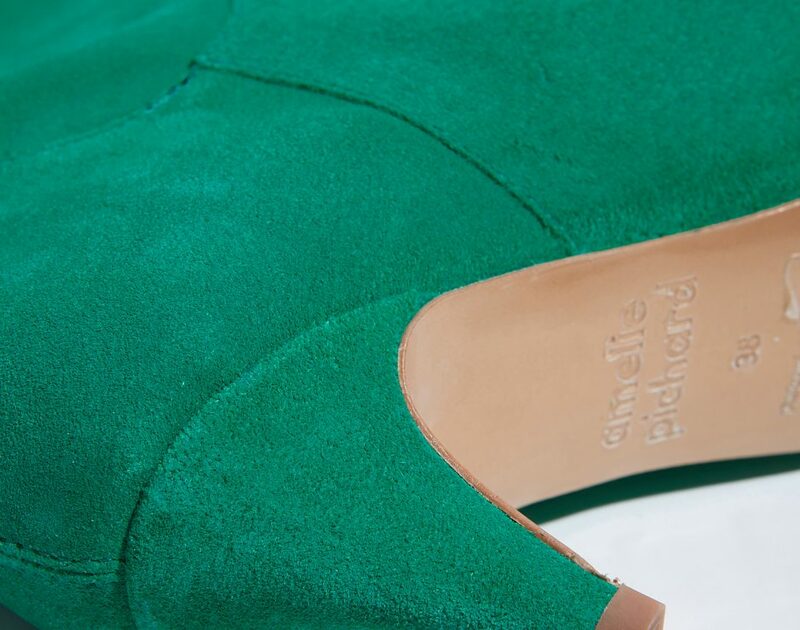 Black leather lining and iridescent "gold" Vegan sole.